My brilliant sister Catherine posted these plastic Easter egg bunnies that she came up with on Facebook. I loved the idea, so she offered to photograph the steps so I could share it with you. They are so cute! You could also draw alien faces on them for older kids – or, better yet, let the older kids draw the faces themselves! 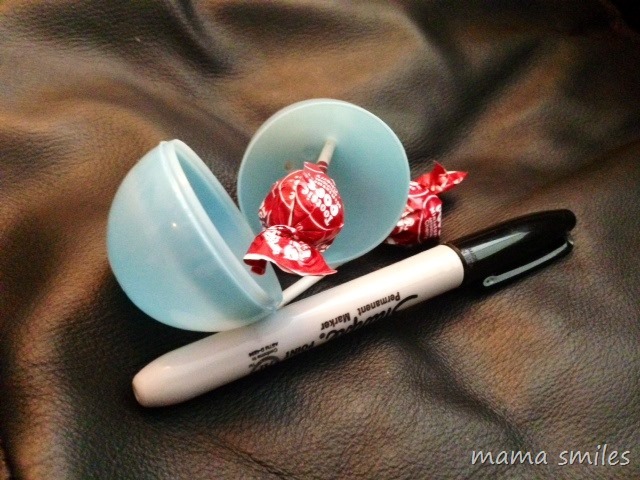 All of our plastic Easter eggs are currently being used as egg shakers (and, actually, they are hole-free Easter eggs, come to think of it), but my kids are going to an Easter egg hunt this weekend, so we will do this with the candy and eggs that I am sure they will bring home. 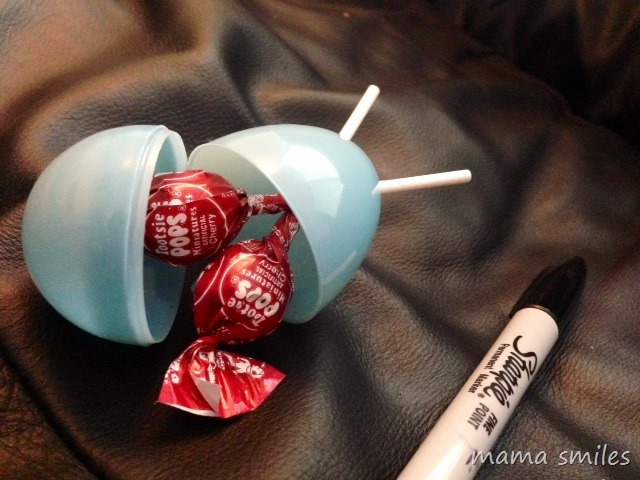 This is a very easy craft – all you need are miniature tootsie roll pops (or similar lollipops), plastic Easter eggs , and a Sharpie pen . You do want to make sure that your eggs are the (cheap) kind that comes with two holes in the top. Catherine got hers at Target – 48 for $2. Not bad! I imagine that you can find the lollipops there, too. Stick a lollipop through each hole. Make sure you pick lollipops that have stems and tops that are small enough to fit. Close your egg, and add the face. I think older kids would enjoy decorating these as aliens – so much room for creativity! 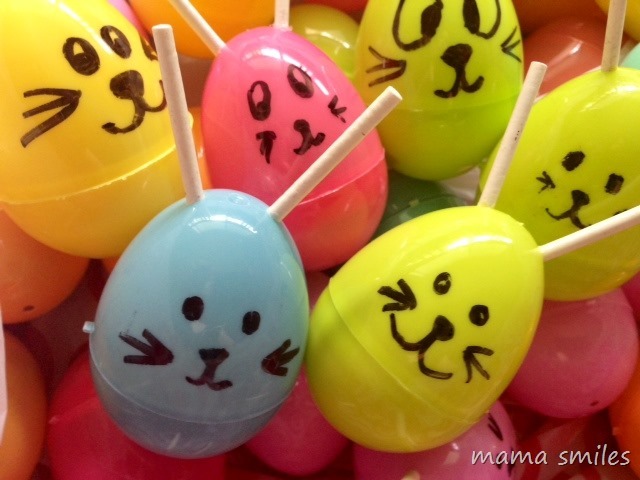 Do you have a favorite Easter craft? How about a non-Easter craft that uses plastic eggs, since I suspect that many of us will have many of those hanging around after this weekend? I am always looking for fun ideas, and I love that Megan of Coffee Cups and Crayons’ kids used them as mini planting pots! Thanks for blogging this! They would be very cute with alien faces. It’s such an easy and simple idea! I LOVE these!!!!! We are totally making them! Thank your sister!!! I will! Catherine is awesome! so cute and fun! craftiness runs in your family! These bunnies are super cute! 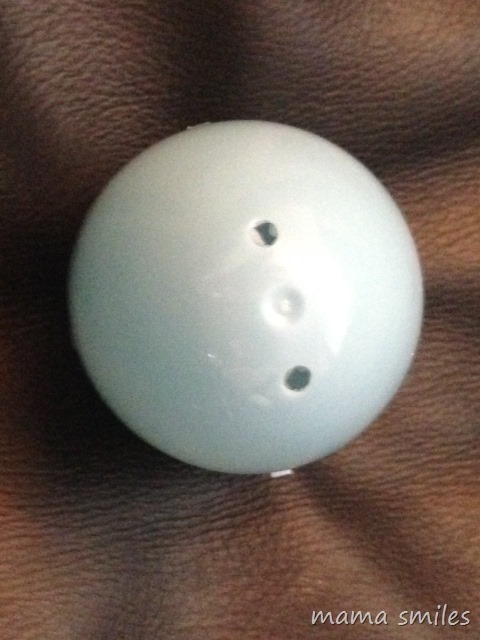 Now I’m curious if mine have the 2 little holes or not…..
How cute :) I was wondering how you got those sticks on there. I’m sure if the makers of these eggs saw these they’d be pretty pleased their holes were put to good use lol. 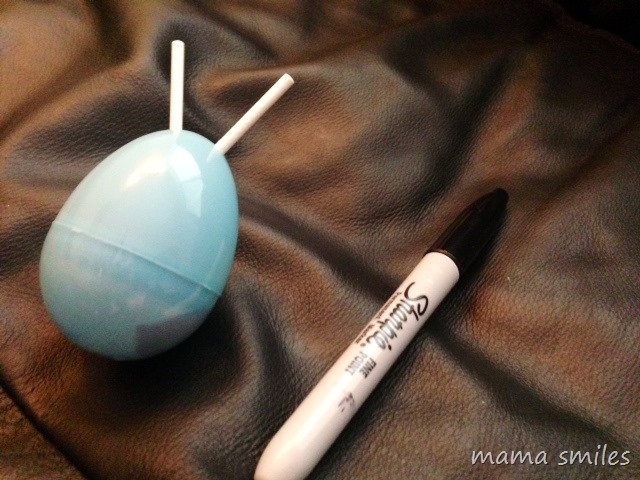 This is a very cute and easy idea for an egg hunt! 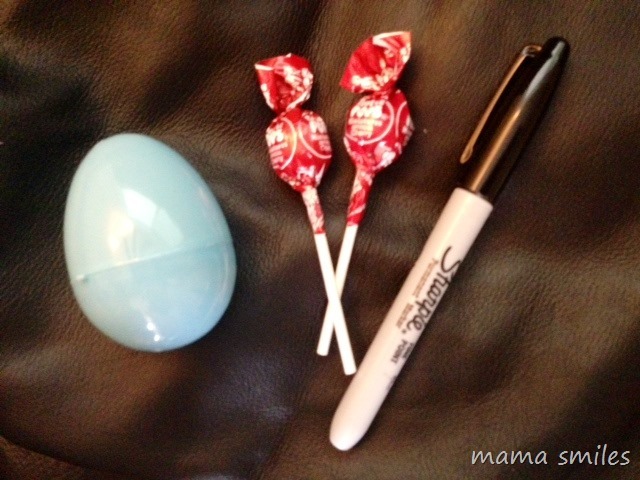 They are perfect for an egg hunt! Aren’t they clever? My sister was so nice to take pictures for this post! Aren’t they great? I bet your kids would make some very cute bunnies – and funny aliens! Adorable and so easy to do! Love your idea!